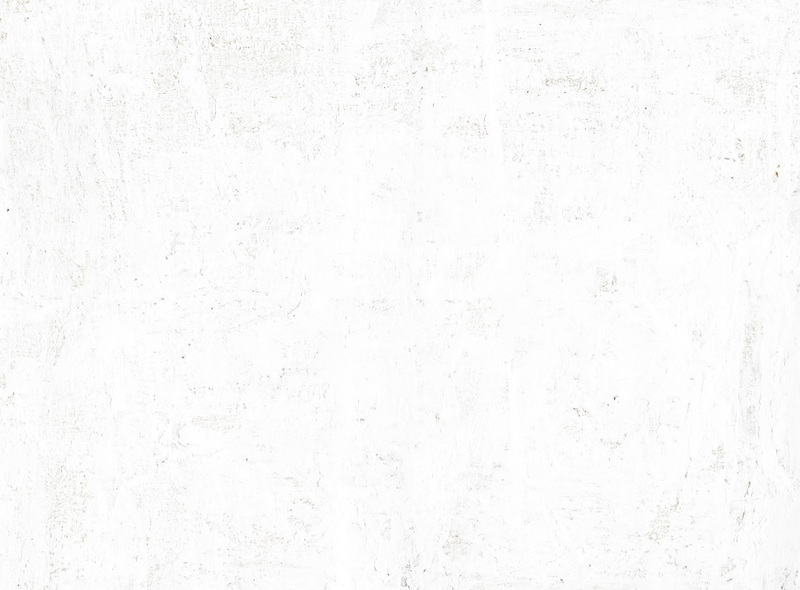 Expressing IdentityNautaima – Where is? Tradition & Transition is pleased to share the latest news from the InukBook Inuktitut Children's Literature Series Project – Nautaima, the second book in the series, is in the works! 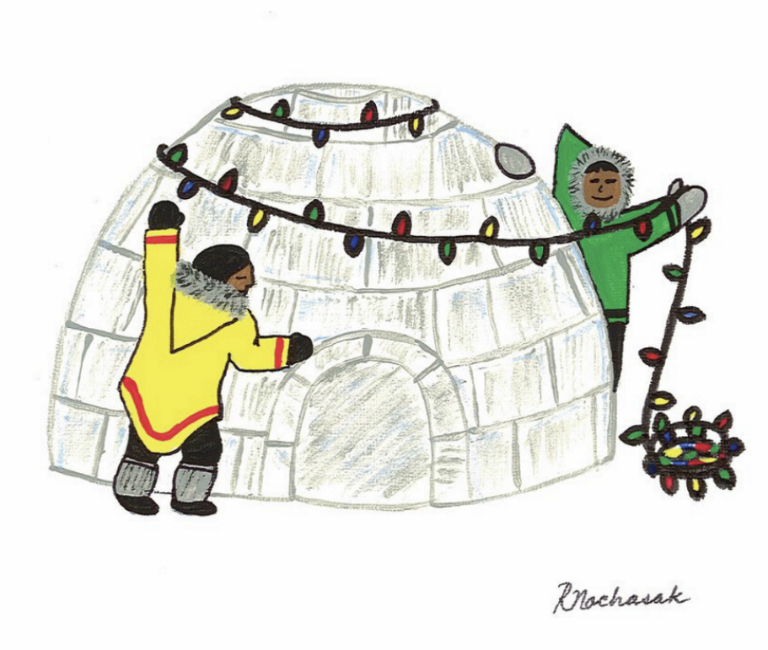 Unlike the first book, which was more of a traditional story book in both Inuktitut and English, Nautaima is an “I spy” book with local themes from Labrador daily life aimed to promote Inuktitut language learning. There are 11 anticipated scenes in the book, each depicting a different aspect of life in Nunatsiavut, with many objects and their associated Inuktitut name taking center stage. While it will feature both English and Inuktitut text, the inspiration for this book was to draw people to the Inuktitut content through smaller phrases, many Inuktitut words, and repetition with the prompt nautaima – where is – directing the reader to locate specific objects in the scene. The aim is to provide an opportunity for adults and children to learn and practice Inuktitut phrases, and to become more familiar with the different Inuktitut words for everyday objects. 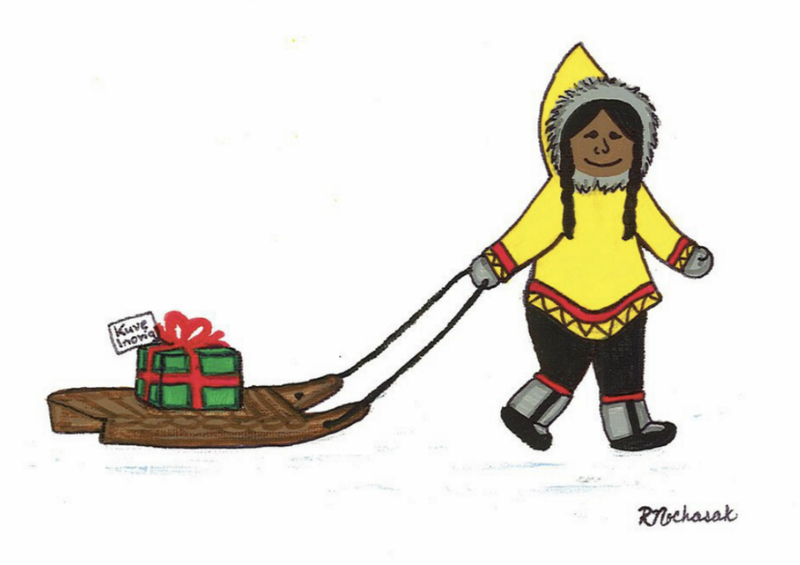 The illustrator and writer for this second book is Roxanne Nochasak from Makkovik. 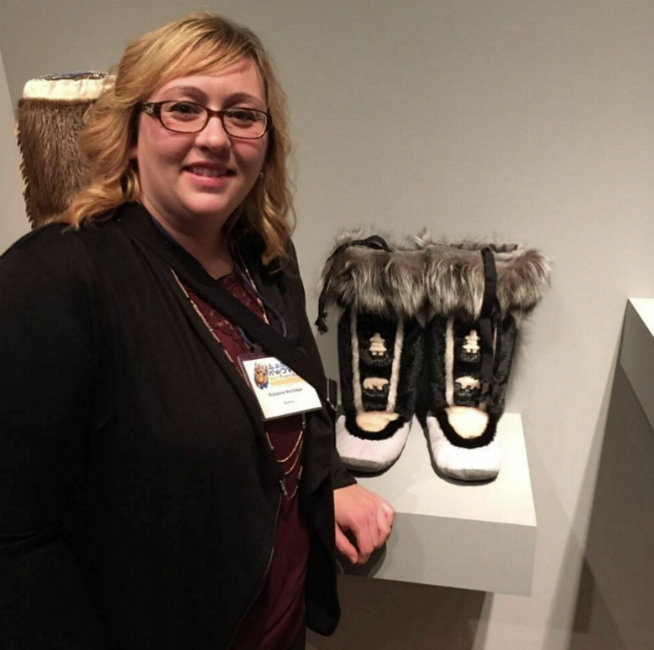 As a recent graduate of the Inuit Bachelor of Education program, Roxanne plans to apply what she has learned in her studies, and her experience as a lifelong artist and craft producer, to each scene. 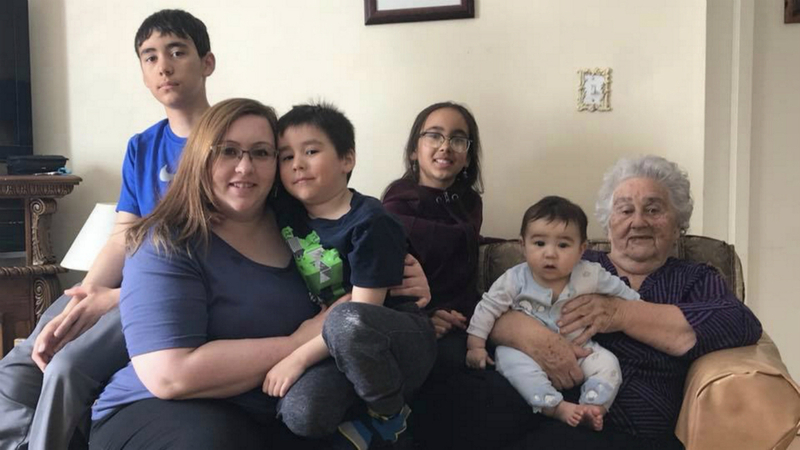 Part of the challenge with this book, she says, is making it relatable to every Nunatsiavut community and including details in different scenes that creates a connection for people regardless of where they come from on the coast. It requires a lot of attention to detail and a lot of research, but she is excited by the opportunity. Nautaima is scheduled for release in September at the start of the new school year, with copies made available to the children and schools in Nunatsiavut and the upper lake Melville area, and for purchase in and outside of Nunatsiavut. And the plan is to keep going with the Inukbook series with the hope that many more children’s books will be made. Jodie Lane, a researcher with the Inukbook project and the Education Manager with the Nunatsiavut Government, says the book series addresses a real need to promote and maintain the use of Inuktitut, and part of that need is to get more Inuktitut books in public stores and in schools. The committee is also always on the lookout for story ideas from Nunatsiavut Beneficiaries, so if you are interested in submitting ideas or working on a book, please email Jodie Lane at jodie.lane@nunatsiavut.com.